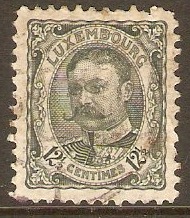 Luxembourg 1906 2c grey-brown. SG158. 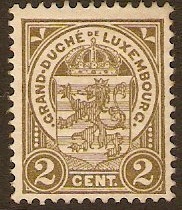 Unused 1906 2c grey-brown. SG158. 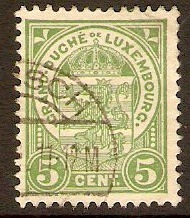 Luxembourg 1906 5c Green - Arms series. SG160. Fine used 1906 5c Green - Arms series. SG160. 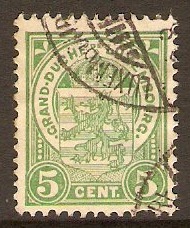 Used 1906 5c Green - Arms series. SG160. 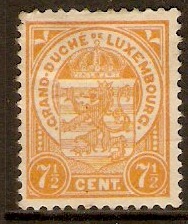 Luxembourg 1906 7½c Orange. SG161a. 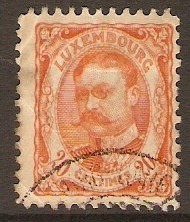 Mounted mint 1906 7½c Orange. SG161a. Luxembourg 1906 10c Carmine-rose. SG162. Fine used 1906 10c Carmine-rose. SG162. Luxembourg 1906 12½c Slate. SG163. Used 1906 12½c Slate. SG163. 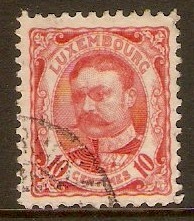 Luxembourg 1906 20c Orange - Grand Duke William series. SG165. Fine used 1906 20c Orange - Grand Duke William series. SG165. 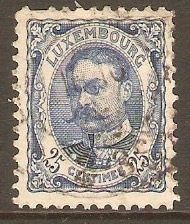 Luxembourg 1906 25c Blue. SG166. Used 1906 25c Blue. SG166.